I’ve recently started TSM. It’s been (insert range of time between a day and 2-3 months) and last night I (insert concern). Concerns range from getting drunk to binging, craving, or even simply not being completely alcohol free. It’s okay to have concerns. Concerns are natural and show that you are invested in your recovery. You want this to work. You’ve probably been failed by other treatment programs and you may worry that if TSM doesn’t work for you, maybe nothing will. You are not the first to have these fears and I hope the following parallel will help reassure you. Alcohol use disorder and recovery using TSM are similar to weight gain and planned weight loss. No one eats a pint of ice cream and wakes up the next morning with 100 extra pounds they cannot lose. Weight gain, like alcohol use disorder, can sneak up on a person. If you’re 300 pounds, you didn’t spontaneously reach that weight. In most cases, it happens over a series of years or even decades. You might diet or exercise intermittently, gain weight, lose weight, gain it back again, and gain more. Similarly, alcohol use can follow fragmented patterns. That first sip of alcohol didn’t instantaneously give you severe alcohol use disorder. It was a process. Sure, certain individuals have a higher risk where it takes smaller amounts of alcohol to produce problematic results, but it still involves repetition for the brain and body to form both habits and addictions. If you wanted to lose 100 pounds, and you had already tried starvation diets that didn’t work for you, how would you set healthy goals? Would you eat a healthy meal, go for a walk, and wake up the next morning wondering why the extra weight didn’t just melt itself away? Of course not! Would you expect to reach your goal in a month? Probably not. Depending on your metabolism, your starting weight, and other health factors, losing 100 pounds safely is a process involving several months, perhaps even more than a year. However, gradual weight loss has been associated with better chances of keeping the weight off long term than crash or fad diets. Chances are, you’ve heard the stories of a few “quick responders” to TSM. These are the people who, on their very first night or within a few days kicked alcohol to the proverbial curb. They might have lost interest during the first beer or glass of wine. Just because you didn’t experience the same thing, doesn’t necessarily mean TSM isn’t working for you. Every individual is different. We drink different amounts and types of alcohol, and we drink for different reasons. Some have recently become concerned with their alcohol use and others have struggled for decades. The reason(s) you started drinking may be different from others, too. It might have started as a habit, like a drink after work, or your tolerance might have increased over time. Maybe you started drinking to rid yourself of stress or to deal with a traumatic incident. Any of these things can influence how long it takes you to reach your recovery goals. A lot of time is spent debating the cause of alcohol use disorder. There are those who quibble over whether or not to call alcohol use disorder a disease. Some will tell you addiction is nothing but a behavior, a bad habit that can only be overcome by choosing to do something else. Others imply addiction is a symptom of a deeper emotional or mental issue. And let’s not forget the scientific research that continues to uncover biological and neurological elements of addiction as well as genetic indicators that increase risk. What cannot be overlooked is that these contributing factors are not mutually exclusive of each other. Alcohol addiction can be caused by any one or more factors and varies from one individual to the next. For some, genetic factors work hard to undermine success. Weight gain is but one of many health issues that can be influenced by genetics. Alcohol use disorder can be, too. Chances are, if you’ve got multiple family members who have experienced addiction to alcohol, TSM may work faster for you. But again, every individual is different. For others, environment can play a crucial role. I once worked at a mall cookie shop where employees could eat anything they wanted as long as two things happened; 1) mark any cookies eaten on the waste sheet and 2) no free cookies could leave the shop. As you might imagine, I gained 15 pounds in two months. Similar things can happen with alcohol. Divorce, the death of someone close to you, job loss or other stressors can lead to short periods of excess alcohol use. Even happy occasions like a job promotion, pay raise, or vacation, can have an effect on how much we drink. One of the easiest ways to see if TSM is working for you is to keep a drinking diary, or drink log. A drink log begins with the average number of drinks consumed per week before starting TSM. We have created a drink log that you can download and use for free. To use it, simply record how many standard drinks you have each day. If it’s 15, type it in. Same thing if it’s zero. The spreadsheet will automatically add the weekly number of drinks and produce a progress graph. The C Three Foundation’s TSM drink log is 52 weeks long. There’s a reason for this…it’s a process. If, for instance, after three months you have found that you are not at your ultimate goal, please look at your graph. Is it better than before you started TSM? How much better is it? Think about how your life has changed. Are you feeling better? Are your relationships easier to maintain? Don’t look solely on one day or one week. Look at the overall trend. Naturally, if the overall trend is that you are drinking more (i.e. your graph is consistently trending up) or you feel your quality of life has diminished in spite of being compliant and following TSM protocols, then it is possible that you are one of the people TSM does not work for. If you were losing weight and gained back five pounds after losing 75, would you throw in the towel and say your weight loss plan wasn’t working? 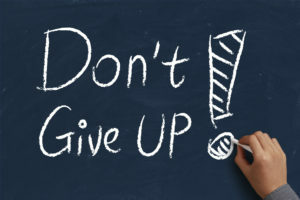 No…so try not to give in to the temptation to give up or be frustrated with overcoming your alcohol use disorder. Give your recovery time. Be kind to yourself and talk to others who have seen ups and downs on their TSM journey. There are many people who will tell you never to look back. While you should focus on the future and on goals yet to be reached, it’s important to look at where you started from time to time so that you can see how far you’ve come. Unlike an abstinence-based treatment program, TSM doesn’t come equipped with a hard and fast measure of success. It’s possible to have a bad night or even a bad week. But one bad night or week after months of progress does not undo all of your progress and set you back to “day 0.” Look at the experience and learn from it. You may find your difficult times all have something in common…holidays, family gatherings, etc. Ask yourself if your drinking during these events would have been worse before TSM. Like losing 100 pounds, reversing years (or even decades) of alcohol addiction takes time. It’s not an easy task, and it can have many ups and downs. You are making progress whether you’ve cut your drinking by 5% or by 95%. Don’t give up because your goals aren’t reached right away. Create smaller milestones so that you can celebrate accomplishments along the way to your ultimate goal. Reach out and seek support and encouragement from others who are on TSM. For every “fast responder” there’s an entire group of people who took 6-9 months or more to reach their goals. You are not alone in your journey.